Syrian Kurds are insisting on having their own delegation at next month's peace talks in Geneva. The Kurds say their demands must be heard, as they differ from the government’s and the opposition’s. Driven by a strong fighting spirit and an urge for sovereignty, the Kurdish influence in the Middle East has been growing little by little. It’s in Syria where the Kurds face their toughest fight for independence, though. Kurds are caught up in the middle of a bloody civil war. Their territories are being claimed by Al-Qaeda, their villages raided and their people killed. According to unconfirmed reports that emerged earlier this year, some 450 Kurds, including 120 children, were allegedly slaughtered by al-Qaeda-linked rebels fighting against the Syrian government. Iranian TV channel Al-Alam reported in early August that militants from the Jabhat al-Nusra Front attacked the town of Tal Abyad, killing over a hundred children, 330 women and elderly near the Turkish border. A Kurdish journalist, Barzan Iso, told RT that al-Qaeda started attacking Kurdish villages in late July, and that a number of Kurds had been kidnapped afterwards. Eleven civilians were killed when a Syrian warplane bombed a Kurdish village in the oil-producing province of Hasaka in northeastern Syria in April. According to Kurdish activists, the raid also killed mostly women and children. Residents of the Kurdish village of Basufane, some 45 kilometers from Aleppo, the largest city in Syria, told RT that the ongoing war only makes them tougher fighters, however. In Syria, Kurds they make up about one-tenth of the population, having suffered repression for decades. In November, after weeks of fierce clashes, ethnic Syrian Kurds declared an interim autonomous government in the northeast of the country, formed by the Kurdish Democratic Union Party (KDU). "There will be a temporary administration to manage the affairs of the region until the situation in Syria stabilizes and there can be a democratic government and legitimate elections," Hussein Shawish of the KDU-aligned Movement for a Democratic Society told DPA news agency last month, adding that the move was "within the framework of Syrian unity, not outside Syria." The Kurdish National Council (KNC), which includes a range of parties, has not joined the transitional authority, however. Kurdish officials say they need to receive an approval from the UN, the US and Russia to send a separate delegation to Switzerland for the Geneva-2 peace conference. Some say the Kurdish demand for separate representation could hamper preparations for the highly-anticipated peace conference, due to open on January 22. "Russia is willing to accept a third bloc for the Kurds but it is other powers, particularly America, which insist on a two-party negotiation," KDU leader Abdelsalam Ahmed told Reuters. In August, Russia said that it understands the Syrian Kurds' position, which "proves their willingness to live in a united, sovereign, democratic country where there is no place for a racial split or ethnic, religious, language discrimination, rather than their separatist intentions." "We believe that at the upcoming conference in Geneva, Syrian Kurds should be represented in such a way that will allow them to express their aspirations and stand by them on an equal basis along with other influential and opposition groups," the Russian Foreign Ministry told Kommersant daily. Last week Syria’s ambassador to Russia, Riad Haddad, said that the Syrian delegation at Geneva-2 will feature representatives of all ethnic and confessional layers of the Syrian society, including Christians. "This said we mean a delegation which will represent all Syrian people, without highlighting a certain group, be it Christians or Kurds," he told RIA Novosti. Syria's Kurdish minority wants their language, once banned in public, to become an official language. They also demand a federalized system of governance that could give them greater autonomy in regions where they constitute a majority. "They're prepared to die to protect their land and their people," Paula Slier reported for RT from Syria. “Now every night they want to restart the clashes, but now we are well prepared, because we made new bunkers so we have more abilities than before. If they attack us, we are ready to defend ourselves, but if they don’t we won't attack anybody,” a YPG fighter, the Kurdish militia in Syria, Fidekar Xebat, told RT. Syria has been gripped by a bitter civil war since March 2011. 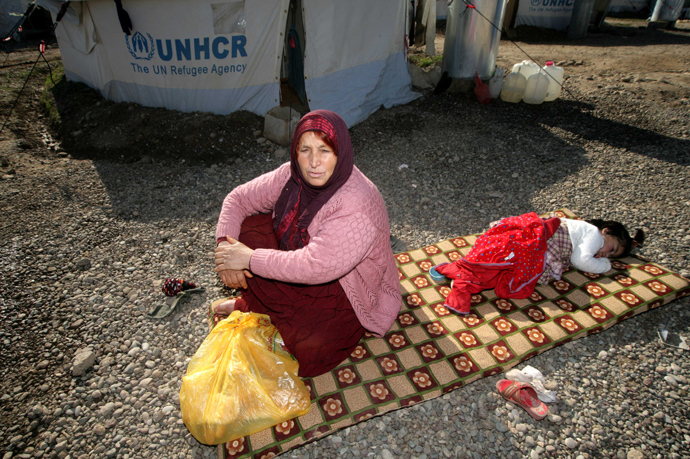 According to the UN, over 100,000 people have been killed and 7.8 million of others displaced due to the war. 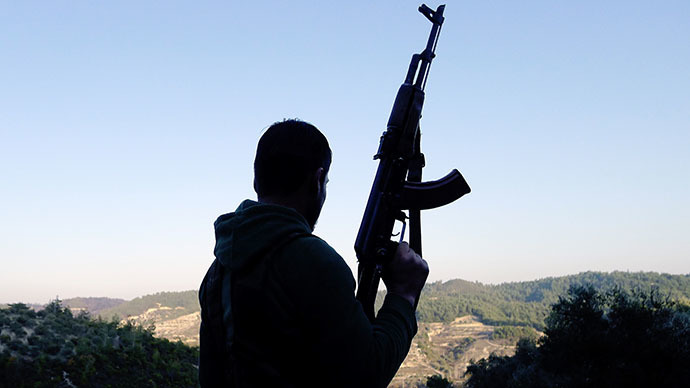 The latest estimates by the British defense consultant, IHS Jane's, reveal that some 100,000 militants are fighting Bashar al-Assad's regime, with around 10,000 jihadists fighting for powerful factions linked to al-Qaeda. 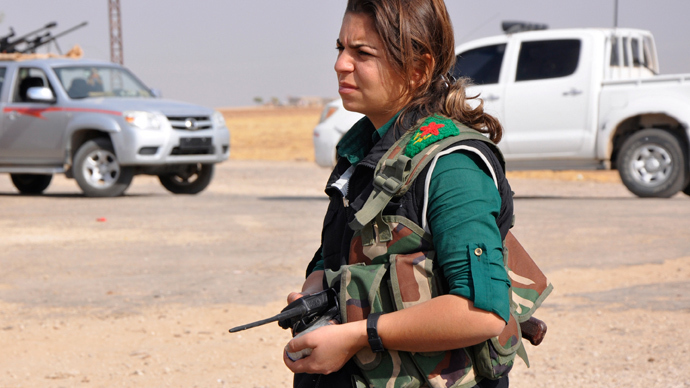 Meanwhile, the Kurds have recently taken control of large parts of northeast Syria. According to one Kurdish political analyst, the civil war there has played into their hands. "The Kurds in Syria were emboldened by the fact that the Arab Spring came about and the regional powers are busy with the eternal strife with the instability of their own government, while the Sunni Arabs and the Shia and different factions in Syria are fighting each other, and the government is weakened. The Kurds have found an opportunity to run their own affairs and to grab whatever they can in terms of territory," Shwan Zulal said. Across the border, in Turkey, as much as 20 percent of the population is Kurdish. Their fight for independence has long been a thorn in Ankara's side. In the past three decades Turkey has suppressed Kurdish human rights, waging war with the Kurdish Workers’ Party, the PKK, an organization which has fought against the Turkish state for an autonomous Kurdistan. “Abdullah Ocalan [the imprisoned PKK leader, one of the founding members of the Kurdistan Workers' Party] always called for Kurd fighters to have more weapons. And they will never give them up easily,” Dr Kamiran Berwari, a former PKK fighter, told RT. Turkey has begun building a wall on the border with Syria, in what many see as an attempt to divide the Kurdish majority on both sides of the fence. "Turkey is not very happy because of what Turkey sees. If the Kurds in Syria get emboldened and have some sort of autonomy, Turkey fears that this will translate into some sort or encourages its own Kurdish population to demand the same rights or similar rights," Zulal said. Khalid Issa, of the Syrian Kurdish Democratic Union Party, believes Ankara's actions are likely to backfire. "I think that if Turkey's government keeps supporting militants and Jihadists and facilitates their entrance into the Kurdish regions and to the central areas of Syria then the Kurds that live in Turkey won't stay silent. Also if the Jihadists attack the Alawite-dominated regions, Turkish Alawites will also take action. Turkey's cooperation with terrorists will have consequences. If you play with fire, you get burned. Turkey is interested in stability in the region and supporting terrorists is not in the interest of Turkey, nor is it in the interest of the Kurdish and Arabic people in the region." For thousands of years the majority of Kurds have lived in the so-called Kurdistan Region, an area along the border of four Middle Eastern countries – Turkey, Syria, Iraq and Iran – where the total population of Kurds is about 40 million. Recently things have slowly started to change for one of the world's largest ethnic groups without their own state. “Iraq now practically is not run by a powerful state in Baghdad. And I strongly believe that we are moving toward a fully independent Kurdish state in the north of Iraq,” Rabun Maroof, a member of the Change Movement, told RT.